of bookdummypress are designing and printing the book, which should be available soon. You can pre-order a copy of the resulting book here. 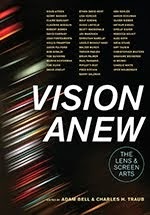 It looks great and will have a lot of additional contributors, as well as numerous essays. As part of the online presence, Olia and Russet asked me to select ten lesser-known, independent and self-published photobooks from the past twenty-five years. A daunting task. I've roughly adhered to at least three of these criteria, but quickly became overwhelmed in trying to go back twenty-five years. In making my selection, I tried hard to pick books that were not recognized classics (yet), had not received the Badger/Parr seal of approval and had not been showered with too many accolades. Sadly, ten is never enough, especially when there are so many good books. Who needs photobooks? Let alone another list. No photobook is truly essential to life or happiness, although any lover of them will beg to differ. While a few books often get rightful accolades, there are also many that sit quietly on the shelf, alone, improperly shelved, remaindered and unsold, waiting to be discovered. Decidedly idiosyncratic and personal, I tried to highlight lesser known books that deserve a wider audience – ones you may have forgotten, heard about on a blog, never heard of, hated and still don’t like, couldn’t afford, one you can’t even see, but just might be willing to look at again and see with fresh eyes. 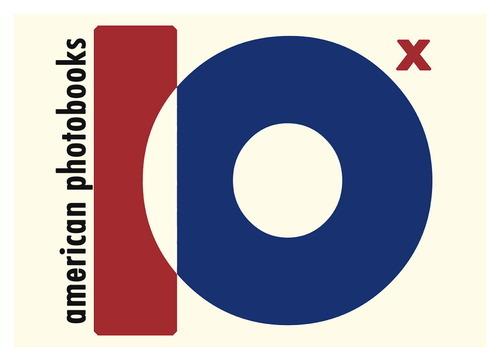 The NYC Preview for 10x10 American Photobooks is scheduled for 3-5 May, with the opening reception on Friday, 3 May 2013 from 7 to 9. The event will take place at Ten10 Studios in Long Island City (10-10 47th Road, Long Island City, NY 11101). You can pre-order a copy of the resulting book here. Susan Lipper's trip is one of my favorite photo books. I'm very glad to see it getting its deserved recognition. Glad you like Susan's book too. It's a shame it hasn't gotten more attention.